What is the Youth Leader Programme? The Youth Leader programme helps to pass on skills, top tips and most importantly confidence so that Youth Leaders can get back out to their clubs in order to put their new found knowledge to use! In order to complete the Youth Leader Programme, each Youth Leader must attend the workshop and then go back to their club to complete 5 hours of contact time. The cost of the course is â¬15 per participant. 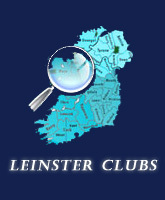 How does my club take part? 1. Organise a workshop at your club grounds: You need a minimum of 12 Youth Leaders and Irish Hockey will provide the tutor (classroom and pitch time required). To organise this, contact your local Hockey Agent. 2. Send your Youth Leaders to a centrally run workshop in your province. Speak to your Regional Development Manager for details.